The Zimbabwean government has recently benefited from China’s gifts to Africa. 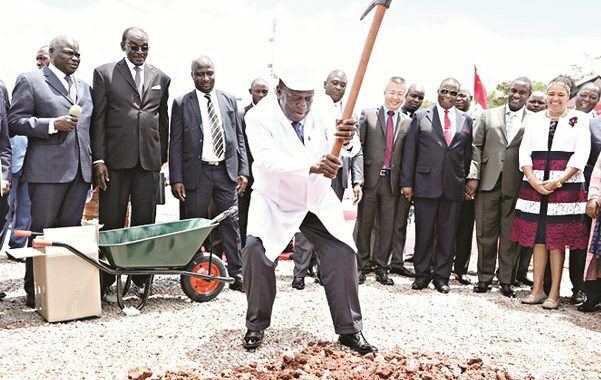 Zimbabwe ‘s President, Emmerson Mnangagwa on Friday, November 30,2018 laid the foundation stone for a new parliament. The project worth $46million will be located on a farmland North West of the capital city, Harare and the building upon completion will replace the current parliament building which according to the government, is too small to house it more than 200 lawmakers. Mnangagwa who took over from Robert Mugabe, has vowed to revive Zimbabwe’s degrading economy which has been down for about 2 decades. He also said he feels bad that Zimbabwe has not been able to pay back all the loans she acquired from China over the years and vowed that under his reign he will make sure all loans are paid back to China. It should be noted that over the years, the Chinese government has been funding as well as giving out loans for many infrastructural projects across Africa, ranging from roads and power plants to sports stadia and government institutions.